Earmolds are available in hard and soft material and in 10 different vent configurations from no vent to a very large vent. Earmolds for use with Behind the Ear (BTE) hearing aids are available in 11 different styles from Skeleton Open to Full Shell. 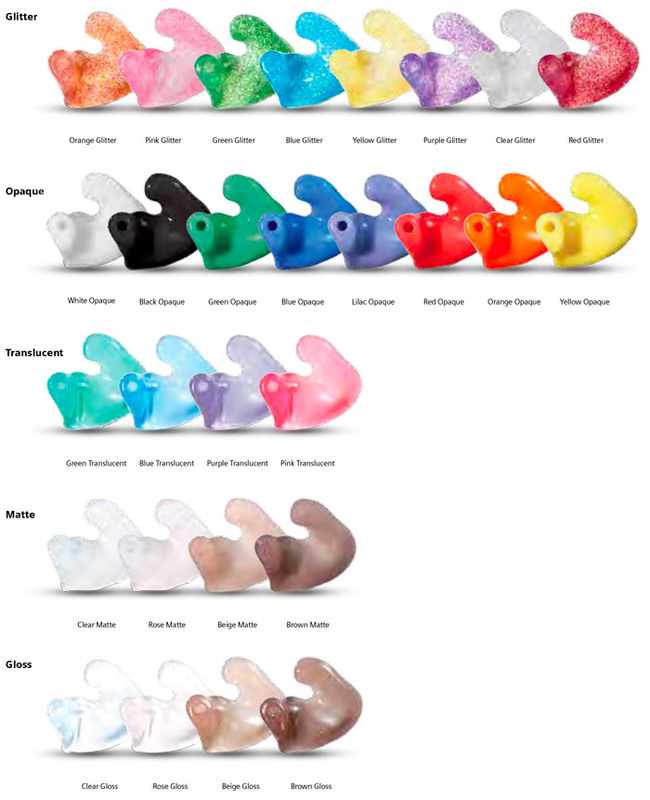 Receiver in the Canal (RIC) earmolds are available in 15 different styles from Skeleton Open to Full Shell. For more information call us toll-free at 877-600-1122 or local at 708-579-9458.